The locations of petroglyphs and paintings, even those that are well known, have a huge potential for further research and may reveal a lot of information if modern methods are applied as was the case with the studies conducted in the Pegtymel River rock art site, which not only expanded the petroglyph collection substantially but also updated our concepts on the chronology and techniques of rock art in Chukotka. 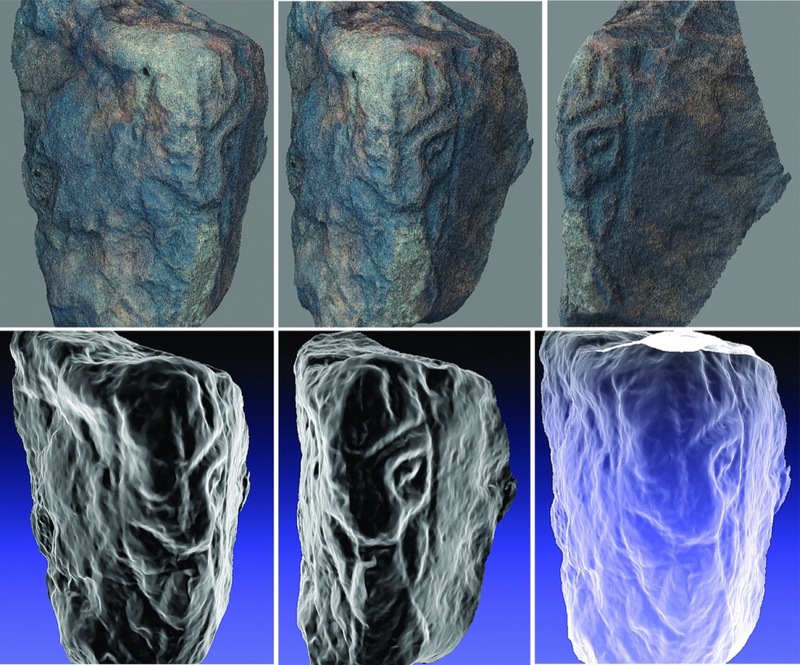 The studies of the locations of Sikachi-Alyan on the Amur River and Sheremetyevo on the Ussuri River helped the archaeologists extend the corpus of petroglyphs by revealing new unique anthropomorphous and zoomorphic figures to it while contemporary methods of documentation with the use of the RTI (Reflectance Transformation Imaging) and photogrammetry made it possible to expand our knowledge on distinctive features of the figurative art tradition and the natural context. 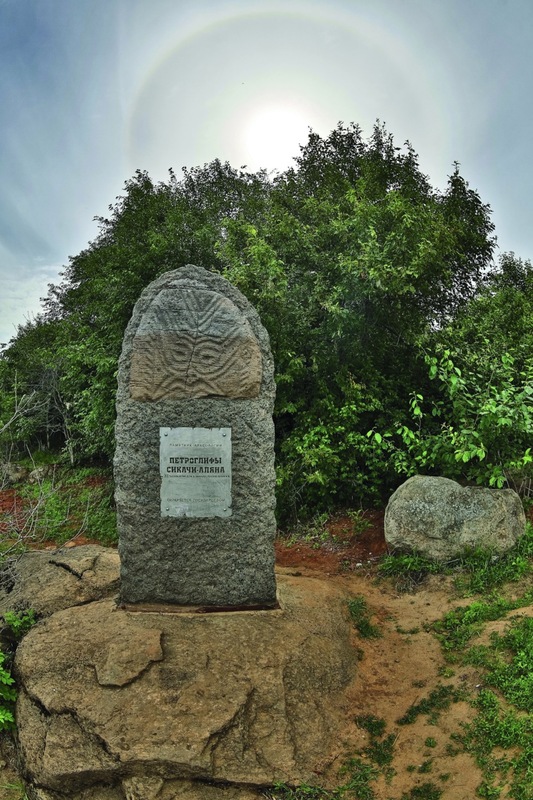 In 2013 the Sikachi-Alyan site, which is the only rock art site in the open air in Russia included in the tentative UNESCO Cultural Heritage List, experienced a disastrous flooding. 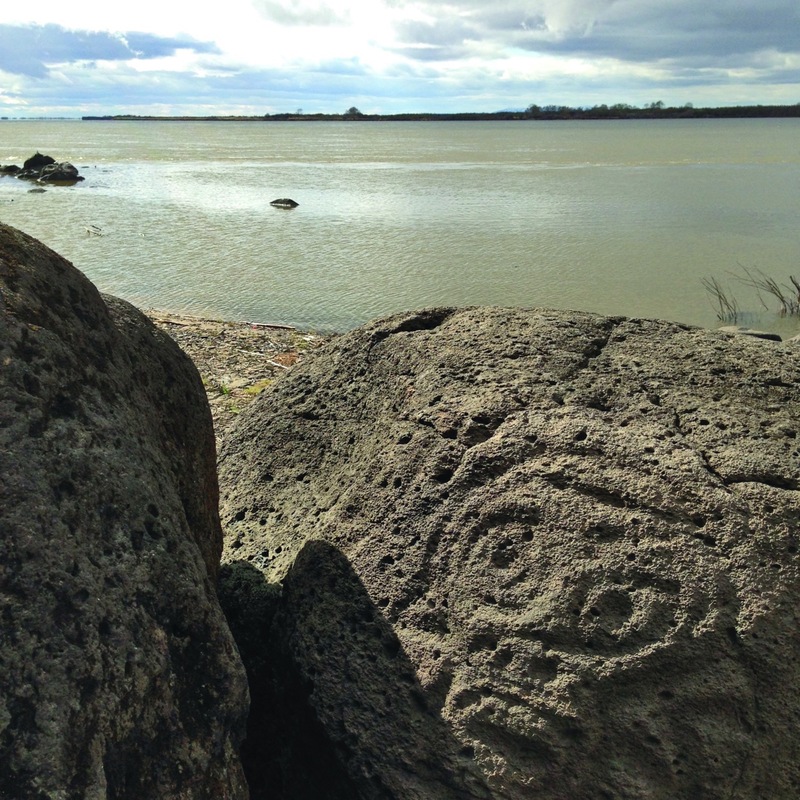 The Amur River height reached a historical maximum of +800 cm, and all riverbank basalt boulders with petroglyphs were submerged under the water. The most severe natural disaster could not but affect the preservation conditions of petroglyphs and the overall conditions of the historical and cultural landscape, as many boulders were dislodged or turned over and the petroglyphs were not seen. To a greater or lesser extent, these processes take place at Sikachi-Alyan every year. 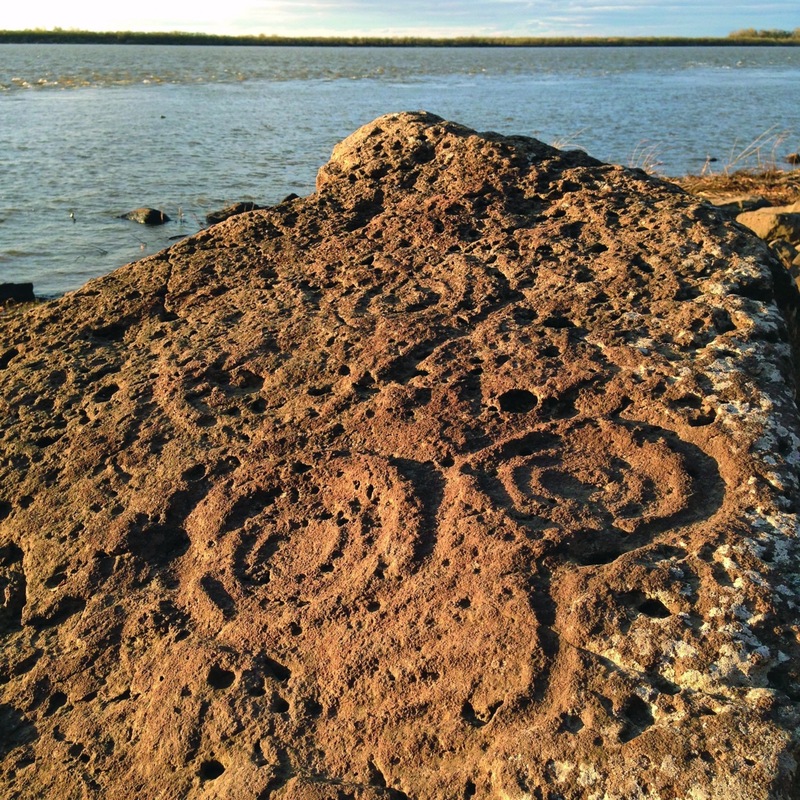 It is the only rock art site, the elements of which continuously change their position due to fast-flowing powerful Amur water, especially, during the spring rush of ice that tosses and overturns boulders on the river banks; as a result, some images are hidden from view, while others reappear above the mirror of the water. If boulders with carvings are deposited on the sand rather than on the bedrock, they sag and may be completely covered by soil. These features of the location set specific requirements to the methods of monitoring preservation conditions and assessing the caused damage. 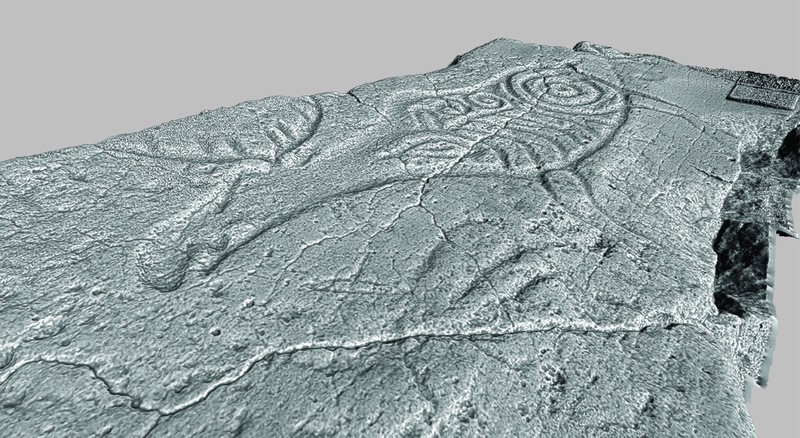 The use of photogrammetry has proved to work well in documentation of each element of the dynamically changing site, visualization and demonstration of its distinctive characteristics. Practically all Sikachi-Alyan petroglyphs are carved on riverbank boulders of various sizes and shapes. Preference of boulders used as natural rock ‘panels’ is a feature of the local rock art tradition. Natural rock features of the boulders helped the craftsmen render the human-like masks, i.e. 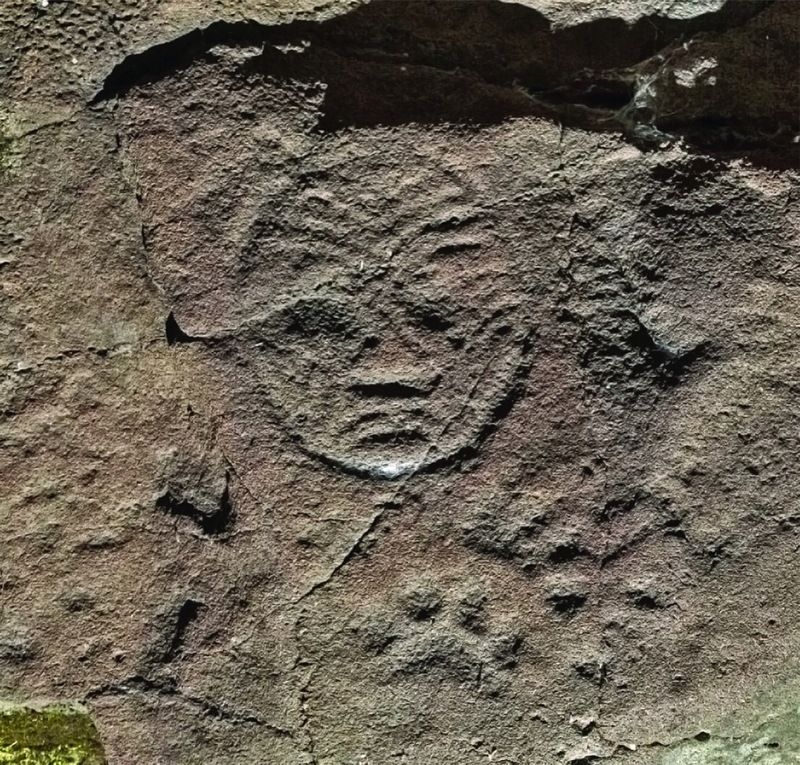 the key images of the Sikachi-Alyan rock art gallery, with an astonishing expressiveness. Anthropomorphous masks carved on the adjoining faces of the boulder make them look like a relief and Sikachi-Alyan petroglyphs tend to be perceived as a relief rather than a two-dimensional image. Many petroglyphs are outlined with a groove; this technique rarely used in the rock art tradition gives salience to the petroglyph silhouette separating it from the rock background. 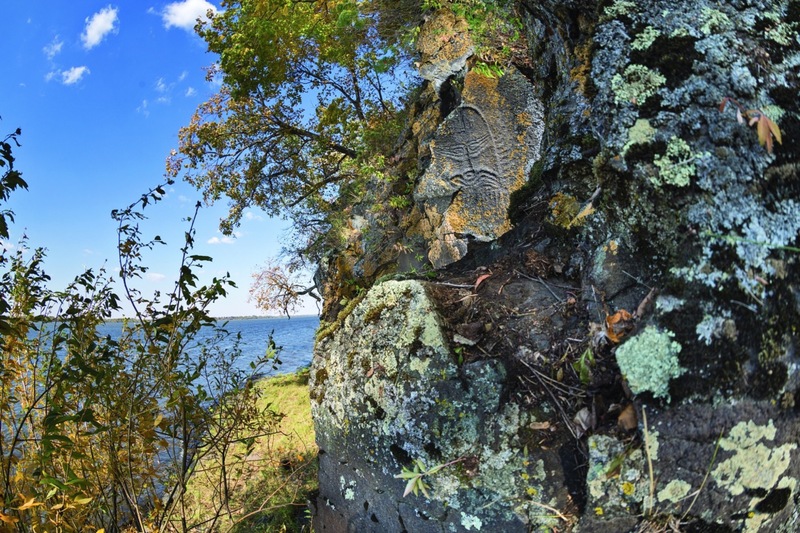 Until recently the Ussuri petroglyphs demonstrated a different type of preferences of their craftsmen; all petroglyphs at this site were found only at different tiers of vertical rock outcrops facing the river. 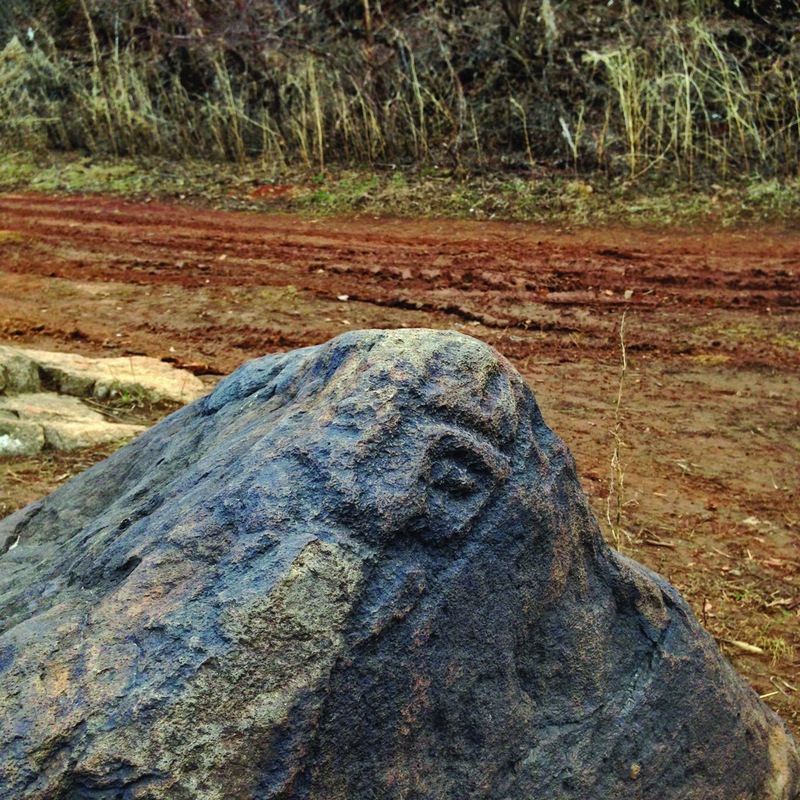 However in recent years petroglyphs have been discovered on isolated boulders both in close proximity to the riverbank and on the terrace above the floodplain along the right riverbank between the village Sheremetyevo and the village Kedrovo 130 km south-south-west of Khabarovsk on the border with China. The most spectacular examples of rock art are human-like masks, it is an iconographic feature of the Sikachi-Alyan and Sheremetyevo petroglyphs. These petroglyphs, which may be single or paired, with or without the contour, surrounded with a halo of radiating lines or crowned with a decorative element, represented as simple three dots or as spaces filled up with intricate ornament, are distinctly unique, truly original and expressive. Other representations include images of animals (horse, elk, tiger, wild board, etc. ), snakes, birds, and animal tracks. 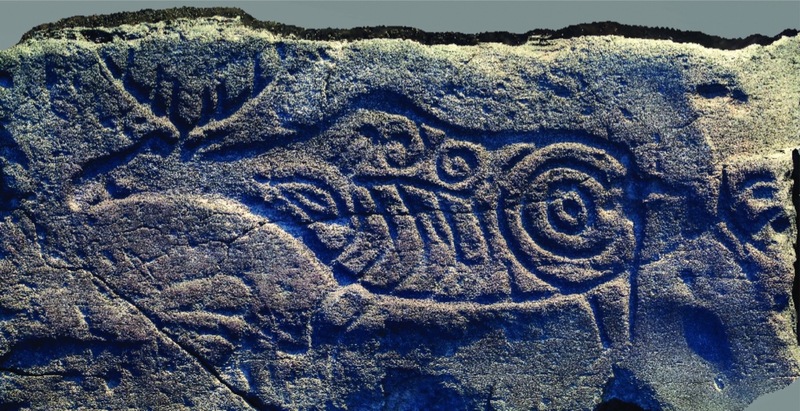 Of great interest is the diversity of ways used to incorporate natural rock features into petroglyph design in order to carve bas-reliefs and a clear transition to round sculpture. A wide time span of petroglyphs existence in the Amur-Ussuri Region (from the Stone Age to the Middle Ages), extended ethnocultural parallels with the traditional culture of contemporary ethnic groups inhabiting the Amur River region, trans-Pacific parallels, unmatched expressiveness of artistic images, and a unique natural context make the Far East rock art sites singular landmarks of global significance.